With every telephone number range for every town and city in the UK and 42 countries worldwide TTNC can guarantee a complete global number solution. Getting the right virtual number can create more opportunities, generate new business or target the customers you want. We provide a variety of services, including Call Management, VoIP, Call Tracking, Fax and SMS services. All our services can be managed through your account on our online platform myTTNC. Our online platform gives you access to all aspects of your account, from updating your personal details to viewing invoices. 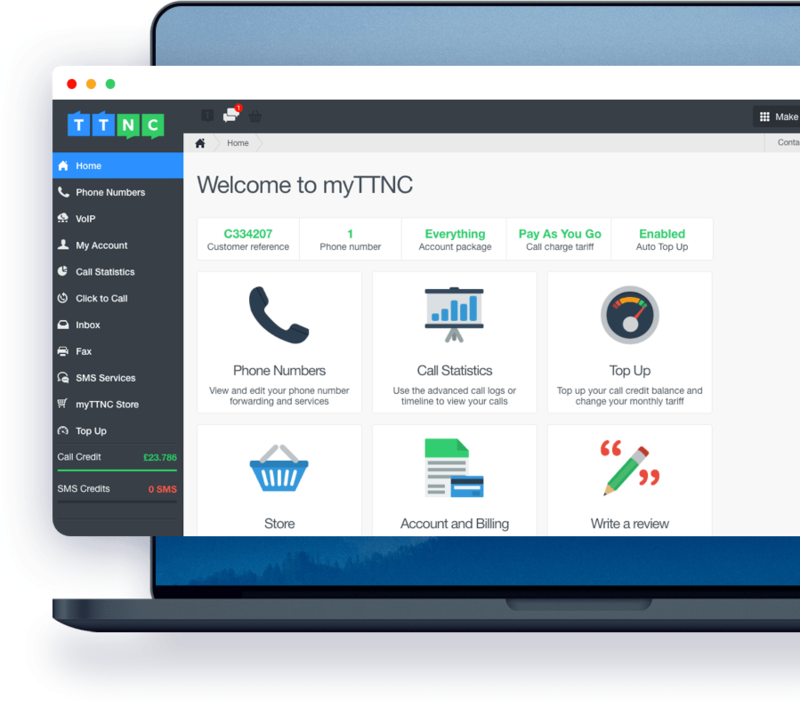 myTTNC allows you to take control by managing your numbers and services online; anytime, anywhere. Being awarded the ITSPA Quality Mark is a huge honour and a clear signal to our customers that we are committed to delivering a quality service. We make sure that our network and services are resilient, as efficient as possible and has maximum uptime. We provide our services to businesses of all different sizes, from home offices and sole traders to big enterprises. Contact us for support at any time, we provide support in every time zone, 24 hours a day, 7 days a week. Start using and managing your TTNC services instantly through our online platform myTTNC. We follow Data Protection & Best Practice Guidance documents including new GDPR legislation.